For some cardiovascular patients, laser-based procedures have become the best, and perhaps only, option to relieve pain and restore function associated with many diseases of the heart, arteries, and veins. New wavelengths, more rugged setups, lower-cost systems, and other advancements are being combined with minimally invasive techniques. Such combinations often promise improved patient outcomes and lower overall cost of therapy. One new laser approach for blood-flow-related ailments involves the treatment of peripheral artery disease (PAD), a condition in which plaque builds up within the arteries. The ailment, which causes narrowing or blocking of blood vessels, is more common in the legs than in the arms. According to the U.S. Centers for Disease Control and Prevention, PAD occurs in about 25 percent of the population, with the percentage increasing as people age. In severe cases, the plaque buildup can completely block blood flow to a limb, such as the lower leg. Left untreated, such buildup can lead to tissue death, limb amputation, and poor prognosis. “[Patients] had a very high mortality [rate] once they had an amputation,” said Dr. Athar Ansari, director of the California Heart and Vascular Clinic in El Centro, Calif.
A model of the heart, with the placement of a laser-beam-bearing probe showing where channels will be cut into heart muscle to alleviate heart pain (a). The diagram shows how the procedure is carried out, with an insert indicating treatment (b). Courtesy of CryoLife Inc. Balloon angioplasty is a standard treatment option for PAD. With this technique, physicians maneuver a deflated balloon to the artery’s problem spot and then inflate it, thereby pushing the plaque aside. As part of the procedure, the surgeon may place a stent in the area to keep the artery open. Physicians may also use mechanical options, such as cutting, to clear the artery, or they may use lasers. These approaches have suffered from several drawbacks, however — one being vessel trauma. Inflating a balloon, mechanically cutting away plaque, or using heat from a laser to remove an obstruction can all cause damage to the vessel being treated. The body’s healing response to the injury can then lead to scarring and possibly another partial or complete blockage, needing further intervention. A second drawback is that these techniques require surgeons to thread a guide wire through the artery before the blood path can be cleared. Third, when a patient has a completely blocked artery, surgeons cannot perform any of these treatments on an outpatient basis. The only option becomes hospitalization, which is expensive and could potentially lead to infections in patients who are already in poor health. To find a minimally invasive technique that offered better results in these difficult cases, Ansari took part a few years ago in the trial of a new laser-based device from Ra Medical Systems Inc. in Carlsbad, Calif. With a short-pulse-width ultraviolet source, the device’s novel approach offered important benefits. Ansari has since used the system to treat hundreds of cases of PAD. Laser treatment of occluded popliteal (back of the knee) artery improved function quickly and significantly in a 67-year-old patient. Courtesy of Ra Medical Systems Inc. In some instances, patients have been able to avoid expensive hospitalization. Many have even experienced health transformations, sometimes recovering physical abilities within days, for example. In a recent case, Ansari operated on an elderly man who had a complete peripheral artery blockage. Having suffered a stroke in the past, the patient was a poor candidate for surgery in a hospital. Using a nonthermal laser, Ansari created a channel for a guide wire, then inflated a balloon and inserted a stent. Without the channel generated by photoablation, the alternative would have involved an ambulance trip because the patient’s condition would have required in-hospital surgery, hospitalization for several days, and possible associated complications. Performing the procedure on an outpatient basis eliminated these risks and avoided significant expense. According to Ra Medical CEO Dean Irwin, the company started with a device that treated skin diseases, another area in which the company offers products. Ra Medical then adapted the same basic laser engine for vascular applications. 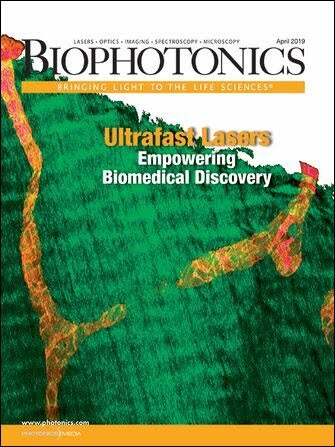 The company also designed, developed, and built the solid-state excimer laser cavity used in its skin and vascular products, with the current version producing roughly 30-ns-wide pulses at a wavelength of 308 nm. This wavelength breaks chemical bonds, so in the vascular application, occluding material such as plaque decomposes into its component parts. This reduces the risk of the plaque traveling elsewhere and causing further problems. At the same time, the 308-nm wavelength is long enough to avoid being mutagenic and potentially cancer-causing, Irwin said. Light at this wavelength can also be transmitted through water, an important feature for vascular applications. Finally, another significant benefit is achieved when the beam intensity exceeds a certain threshold. This photochemical process allows the system to remove a blockage while minimizing collateral damage, subsequently improving patient outcomes, he said. The initial version of the technology weighed over 500 lbs, but Ra Medical engineers trimmed its weight fivefold. They also cut the cost of the system and made it more rugged and reliable. According to Irwin, the ability for the system to withstand vibration was important. Cleared for use by the FDA in May 2017, Ra Medical’s vascular products can treat peripheral arteries and veins. The company plans to launch studies on other potential coronary applications as well. Another example of a cardiac laser therapy used to treat blood-flow-related conditions is transmyocardial revascularization (TMR). It’s used to treat angina, a type of pain in the chest caused by an inadequate blood supply to the heart. With TMR, surgeons use a laser to create small channels through the wall of the lower left chamber of the heart. Although TMR’s exact therapeutic mechanism of action is unknown, several current theories exist as to why it works. These include reduction of symptoms caused by 1) disruption of function in pain fibers, 2) the creation of new channels, which increases blood flow to the heart tissue, and/or 3) the development of new capillary growth, which increases blood flow. Many TMR systems — such as those from ForTec Medical in Hudson, Ohio — use a CO2 laser at a 10-µm wavelength. Studies by the company indicate that this approach yields better patient outcomes compared to other wavelengths, with investigators attributing the improved results to the interactions between laser and tissue that minimize the size of the heat-affected region beyond the channels, and therefore reduce trauma. Obstruction of the popliteal artery below the knee (left). Improvement in obstruction after laser atherectomy (right). Courtesy of Dr. Eduardo Hernandez/Texas Heart Institute. Other TMR systems use a holmium: YAG laser at 2.1 µm, such as the technologies developed by CryoLife Inc., based in Kennesaw, Ga. According to the company’s marketing manager, Corey Stewart, they opted for a solid-state laser with mid-IR emission because this combination enables rapid startup time; the laser offers simple, user-friendly touch pad controls; and there are no regulatory requirements for imaging the heart with this approach. Regardless of the system used for treatment, patients who are best suited for cardiac laser therapy are those who experience chest pain from coronary artery disease because of damaged or diseased narrowed arteries. They may have already undergone multiple angioplasties and/or bypass operations. A study cited by CryoLife found that nearly 7 percent of all patients fall into the category of having no option for treatment because they have angina that is unlikely to be helped by medicine, stents, or surgical procedures. Other studies have shown that the laser approach for angina is better than drug-based medical therapy alone, with laser-treated patients showing higher tolerance for exercise and improved quality of life, Stewart said. He added that laser-treated patients also have fewer cardiac-related return visits to the hospital. According to Dr. Eduardo Hernandez, an interventional cardiologist in Houston who is affiliated with the Texas Heart Institute, lasers can be particularly useful in the treatment of occluded coronary and peripheral arteries. They are also often used for extracting pacemakers and leads to automatic implantable cardiac defibrillators, with the laser freeing the wires, he said. Studies have shown that lasers can be particularly effective in treating obstructed or blocked stents. The body’s reaction to a foreign object, such as a stent, can lead to narrowing of the artery and to diminished blood flow from scar tissue that forms at or near the stent as part of the body’s healing response. This recurrence of abnormal narrowing of an artery after corrective surgery is known as restenosis. A process called laser atherectomy can remove stent-related scar tissue, addressing this problem. As these examples show, the use of a laser can be effective in treating blood-flow-related conditions, but additional research is needed. For instance, in the case of occlusive peripheral arterial disease, one current treatment uses balloon angioplasty to alleviate the obstructed artery, with employment of drug-coated balloons and stents to reduce recurrent obstructions of lower extremity arteries. Hernandez said larger studies are needed to see whether adding a laser or other plaque-removing devices to this drug-coated balloon approach will produce better results for reducing recurrence of the problem and for retreatment of the patient. These studies will provide information about which treatment to use and perhaps point the way toward other therapies. “This [information] will help clarify the role of debulking and plaque modification in occlusive peripheral arterial disease,” Hernandez said. Lasers show both progress and promise as treatment options for blood-flow problems and, with continued research and development, could offer significant benefits. Ongoing studies are helping determine the best future roles for lasers in blood-flow therapy.